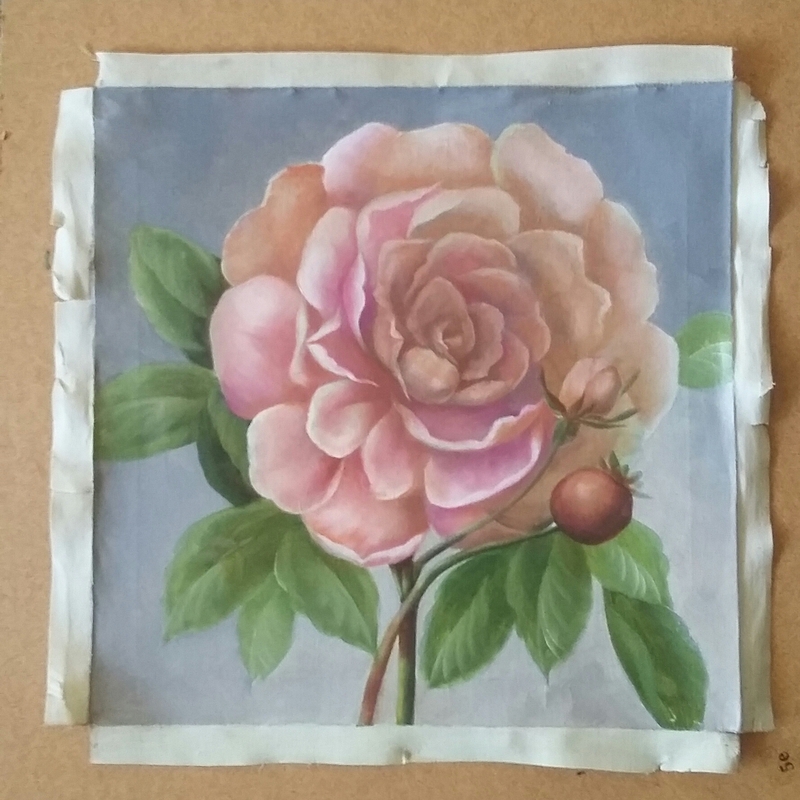 piece of pressed cardboard , and this is how I did it . Step 1 . I removed staples that held the canvas on its wooden frame . Step 2 . I trimmed the edges of my painting , lay it flat on a chosen piece of cardboard, and outlined the space where it will be glued . 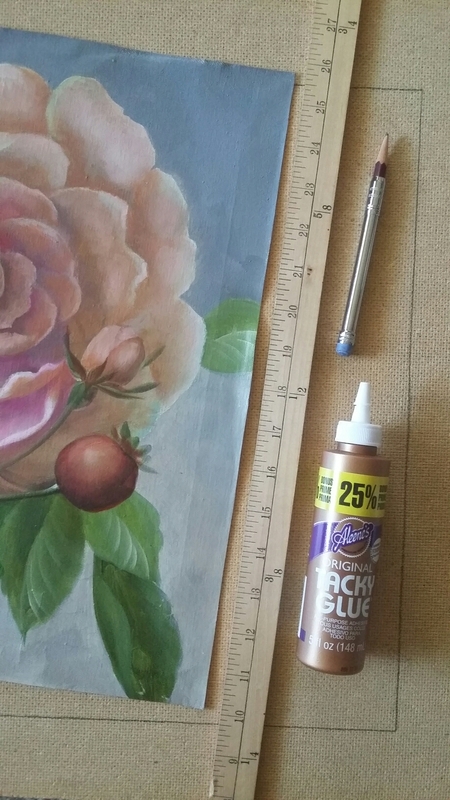 I used a ruler for straight lines and tacky glue because I find it to be stronger than School Glue . Step 3 . 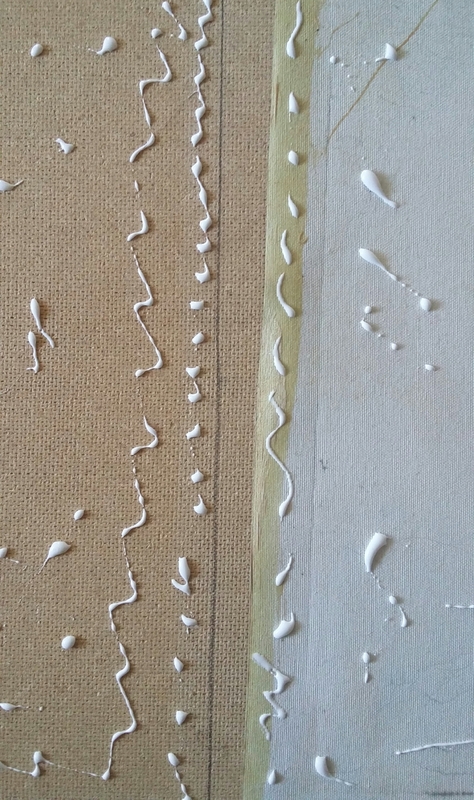 I put glue on both surfaces , the cardboard and the back of my canvas , making sure there is enough glue to make the fabric and the cardboard to adhere , but not too much , especially closer to the edges. I worked fast . Step 4 . I made sure my painting is precisely where I want it to be . Now , I wanted to get rid of any baubles , so I very slowly rolled a kitchen rolling pin from the center out in all directions . 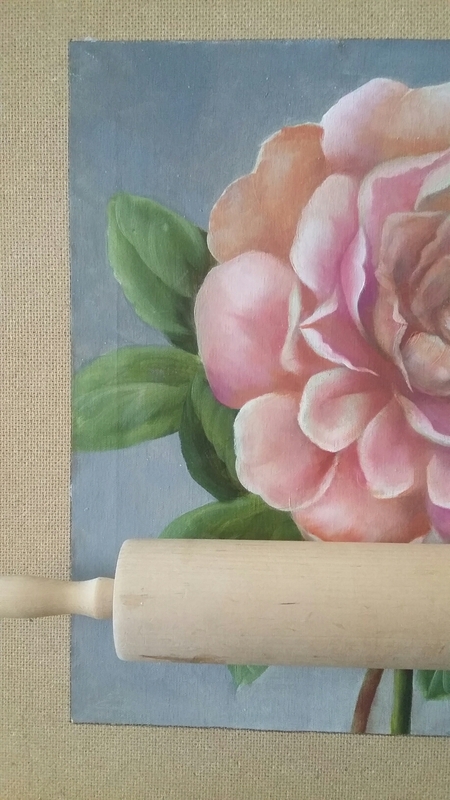 ( Place a clean piece of paper towel , not shown , over your painting before using the rolling pin . This protected my painting. 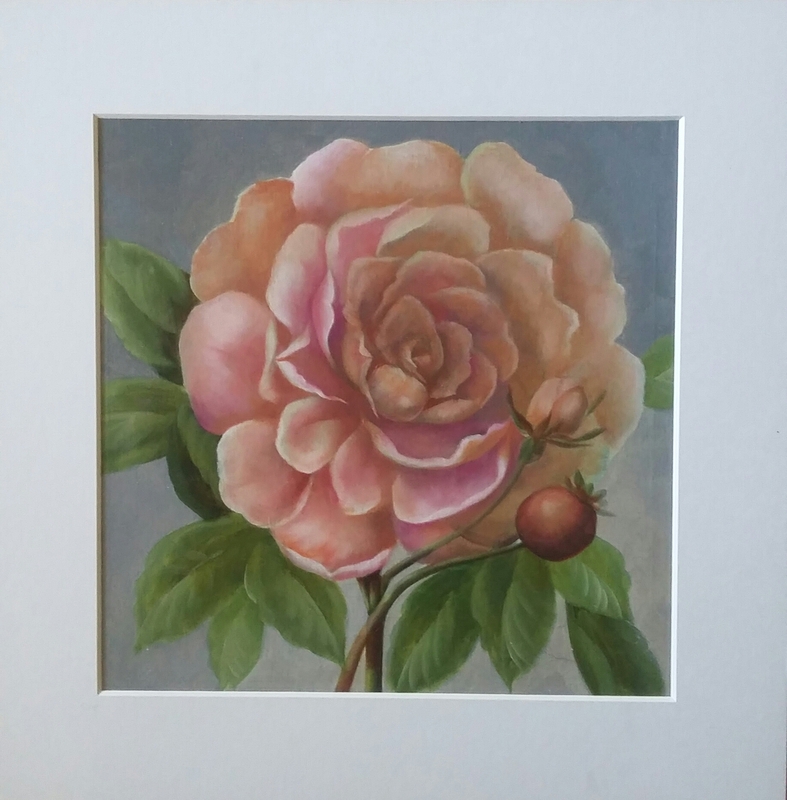 )If my painting had heavy brush strokes , I would just use my fingertips because a flat surface of a rolling pin would have not worked on a bumpy surface . Step 5 . I left it to dry for a day or so and then put a paper mat over it just to see how it will look framed . The surface of the painting is now rigid enough for me to continue my work .